Description This Helen, Georgia hotel has an outdoor pool, non-smoking guest rooms and free breakfast. With free breakfast complimentary Wi-Fi and a seasonal outdoor pool the Americas Best Value Inn Helen offers a good value close to Helen's shops and eateries. This low-rise hotel has 54 exterior-corridor rooms with 40-inch flat-panel cable TVs GÇö HBO is included GÇö plus free Wi-Fi mini-fridges and coffeemakers. Guests get a daily complimentary continental breakfast. Go for a swim in the refreshing seasonal outdoor pool anytime from May through September. Parking is free. The hotel is less than a 10-minute walk from the Alpine Village Shoppes located in the Bavarian-style town center of Helen. The hotel is next to Black Forest Bear Park where guests can check out the bear and snake exhibits. Tubing on the local rapids is available less than a mile away and Unicoi Lake is three miles away. Habersham County Airport is 21 miles from the hotel; Hartsfield-Jackson Atlanta International is 102 miles to the south. 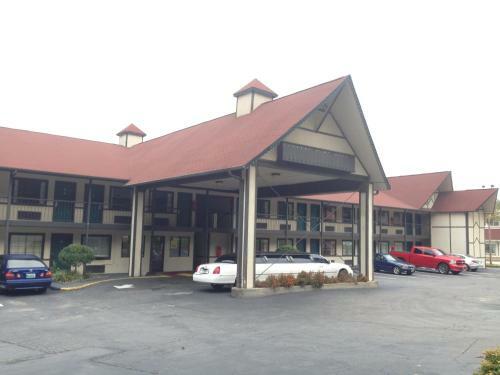 Add Americas Best Value Inn Helen to your free online travel itinerary.